3 port USB car charger. 2 USB A port, 1 USB-C port. Quick Charge 3.0 port up to 18 watts. USB-C port (15 watts) Standard USB port up to 2.4amp (12 watts) Charge Macbook and other Type-C Laptops. Over-Current, Over-Voltage, and short circuit protection. InstanSense device recognition technology. 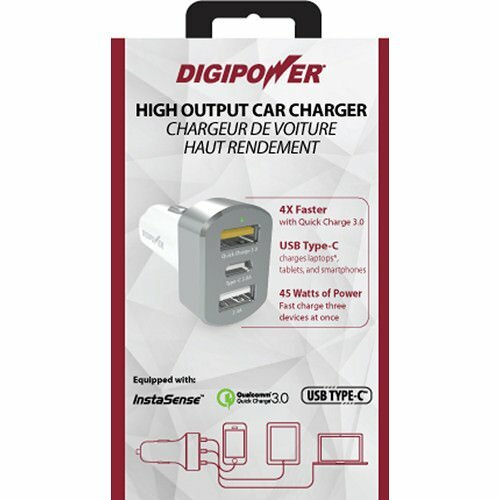 If you have any questions about this product by DigiPower, contact us by completing and submitting the form below. If you are looking for a specif part number, please include it with your message.